In letzter Zeit, I&#8217;ve been on a roll of finding products that make me suddenly like foods I normally don&#8217;t. Tahini is one of those foods. I know I&#8217;m in the minority on this. Most people love tahini and put it in everything. I&#8217;ve just never liked the taste. It&#8217;s fine in hummus but on its own, I&#8217;d rather have peanut butter. 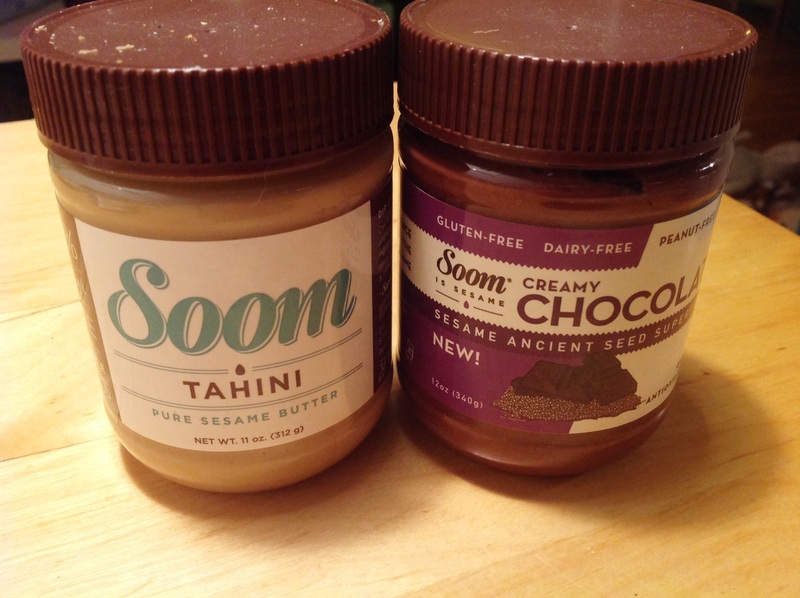 Then I received a couple of jars of tahini from Soom Foods. 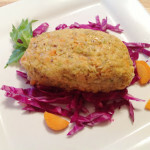 Soom Foods is a Philadelphia-based, women-owned business (Go Women!) passionate about high quality sesame products. 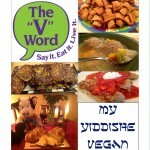 I was grateful for the products and figured I would make a few recipes that I could serve to tahini-loving people. Turns out I was in for a big surprise. I actually liked these tahini products! All the food I planned to serve to other people? I made sure I got my share of it. The Sesame Tahini was smooth and delicious. Not pasty like other tahini. 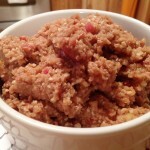 It contains only one ingredient: Ethiopian sesame seeds. 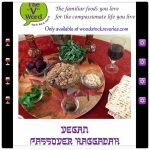 I used it in a couple of dishes where I made tahini salad dressings. 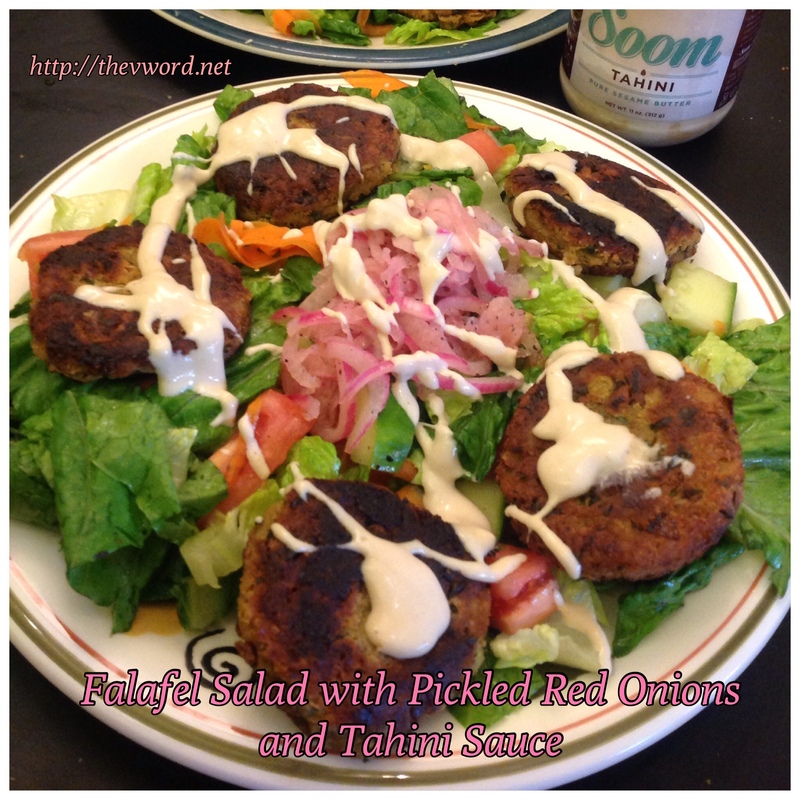 There was this Falafel Salad with Pickled Red Onions and Tahini Dressing. 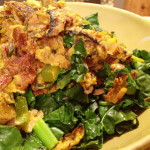 It was a simple dressing made with tahini, lemon and garlic. It was smooth, delicious and perfect for this salad. 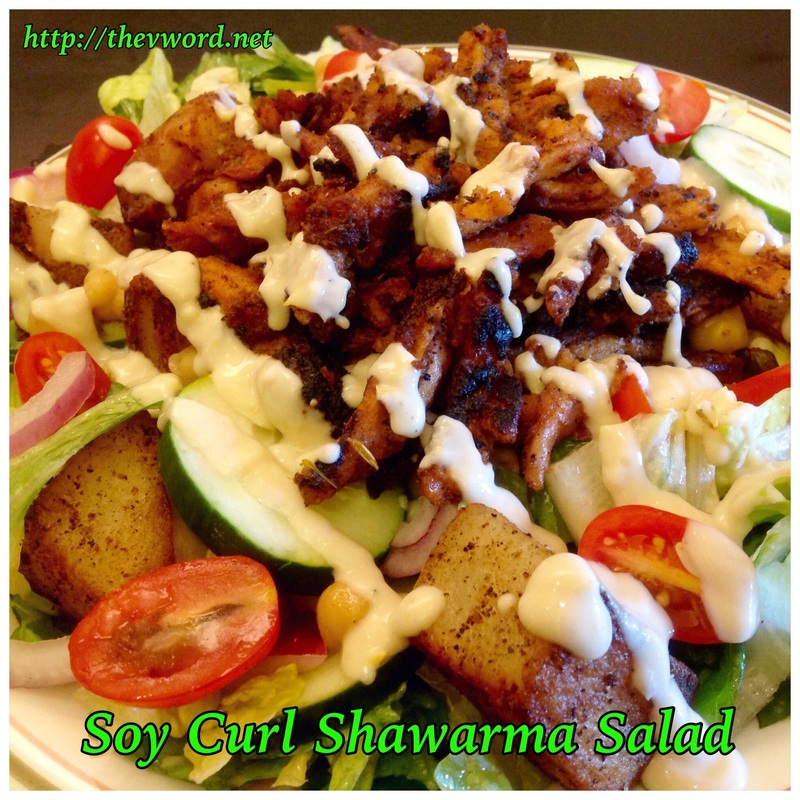 I finished the jar when I made my Soy Curl Shawarma with a tahini garlic dressing. 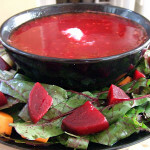 The recipes for those salads are coming soon, Ich verspreche,! 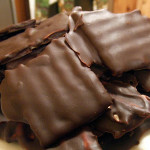 Zu diesem Beitrag, I wanted to focus on Soom Foods Creamy Chocolate Ancient Sesame Spread. It contains just 4 Zutaten: Ethiopian sesame seeds, powdered pure cane sugar, cocoa powder and non-GMO canola oil. Now I&#8217;ll be honest – the thought of a chocolate tahini was something I was not looking forward to. I&#8217;m not a big fan of chocolate or tahini so the two together was not appealing to me at all. Junge, ich war falsch! The only thing I added to the chocolate spread was some almond milk from Califia. Califia was kind enough to send me a coupon so I could try their milk but like most products, no one sells it in my town so it took a long time for me to get a bottle. I had to wait until a friend brought it back for me from out of town. It&#8217;s a tasty milk and Califia has many products. It&#8217;s too bad they aren&#8217;t available to me. But I had this one bottle so I used it for the spread and the crepes. 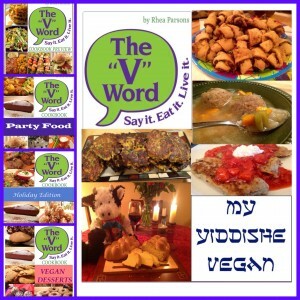 Für die Crepes, I used a gluten-free all-purpose mix from Bobs Red Mill, Die Vegg as the egg replacer and Earth Balance Vegan Buttery Sticks for the butter. 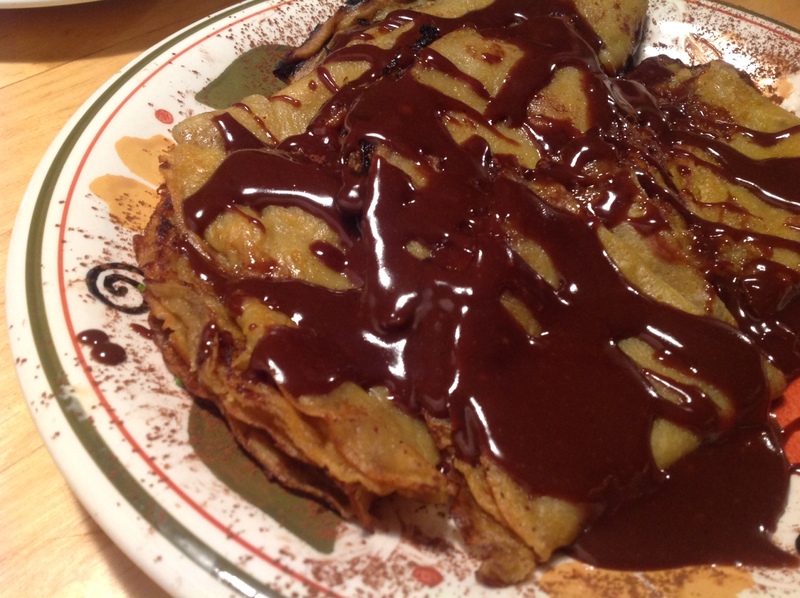 Making crepes isn&#8217;t hard; just time-consuming. 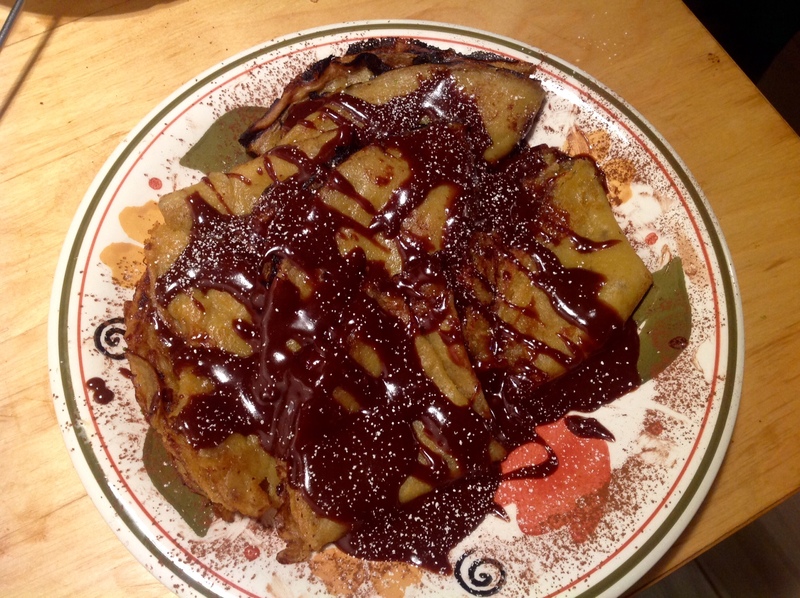 Once they were made, I drizzled the warm chocolate spread over them with some powdered sugar. Sie waren so gut! 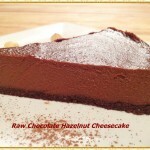 Licht, fluffy and topped with sesame-chocolate goodness. 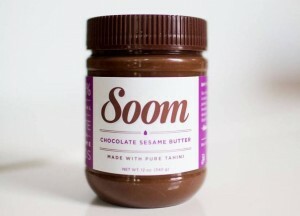 Soom Foods make some really delicious products. They also make dips but I haven&#8217;t tried those yet. 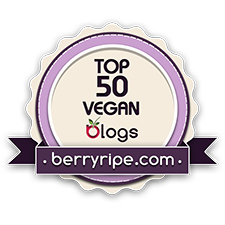 All their products are dairy-free, glutenfreie, kosher, vegan and made in a peanut-free facility. 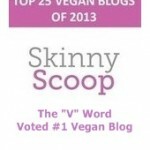 Sehen Sie sich ihre Website und wo zu kaufen some tahini for yourselves. 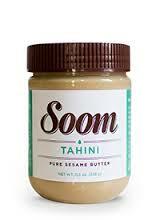 Thanks to Soom Foods I can no longer say that I don&#8217;t like tahini. Now I can say I love tahini and chocolate sesame spread…as long as it&#8217;s smooth and silky Soom tahini and Soom chocolate sesame spread. 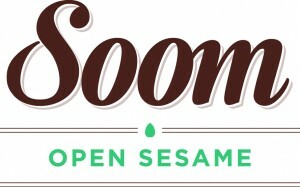 Thanks Soom Foods for the delicious sesame spreads. 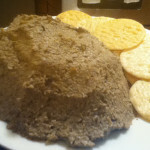 In einem kleinen Topf, put the sesame spread and the milk and cook over medium heat. Schneebesen glatt rühren. Cover and keep on the lowest heat until needed. In einer großen Schüssel, Das Mehl kombinieren, Zucker, Vegg mix, salt and cinnamon and mix well. Slowly add the milk while whisking. Whisk in the butter until you have a smooth batter. Let the batter rest in the fridge for 30 Minuten. Heat the cooking oil spray in an 8-inch skillet over medium-high heat. Pour ¼ cup of batter into the pan and quickly swirl the pan to coat the bottom evenly. Cover the pan and cook for 3 Minuten. Remove the cover and spray a bit of cooking oil around the edges of the crepe. Re-cover the pan and cook another 2 minutes until the edges brown a bit and lift away from the pan. Carefully flip the crepe and cook the other side for 2 minutes until lightly browned. Transfer the crepe to a baking sheet and keep warm in a 200 Grad-Ofen. 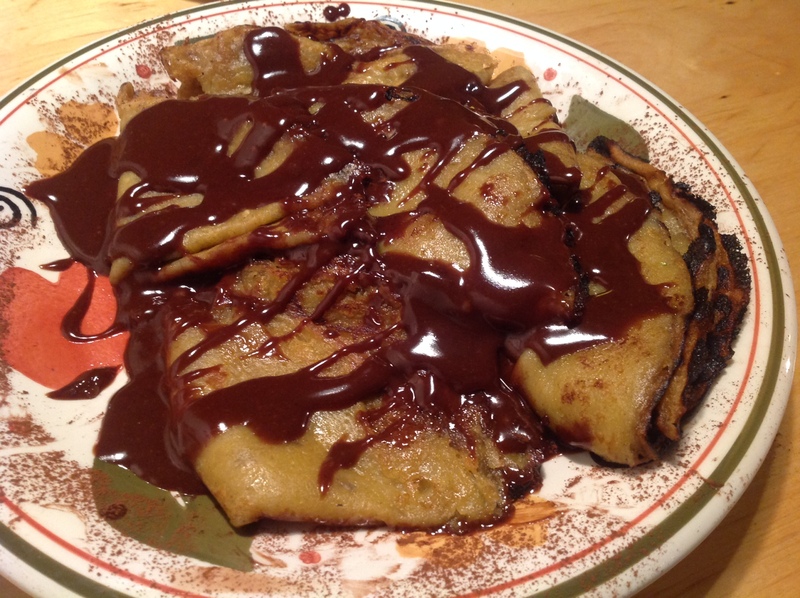 Continue to make crepes until you use up all the batter. 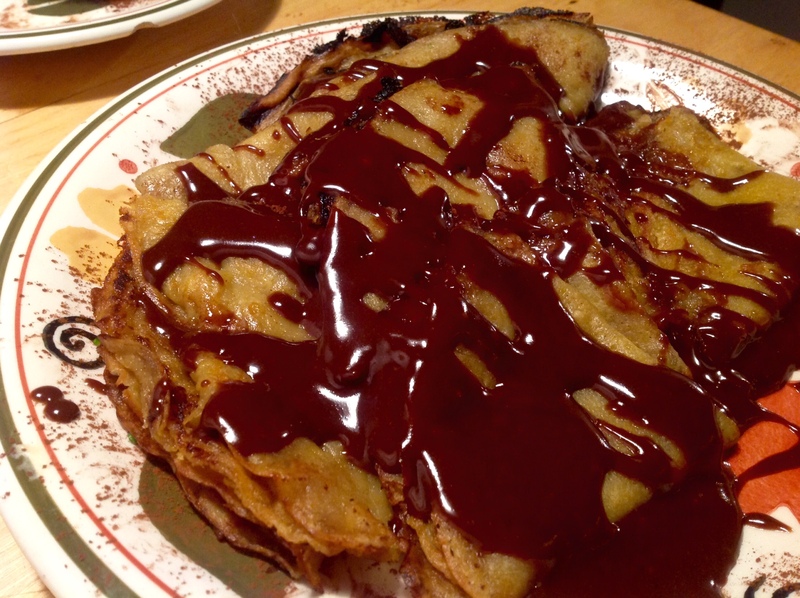 When all the crepes are made, take each crepe and fold it in half and then in half again to form a triangle. 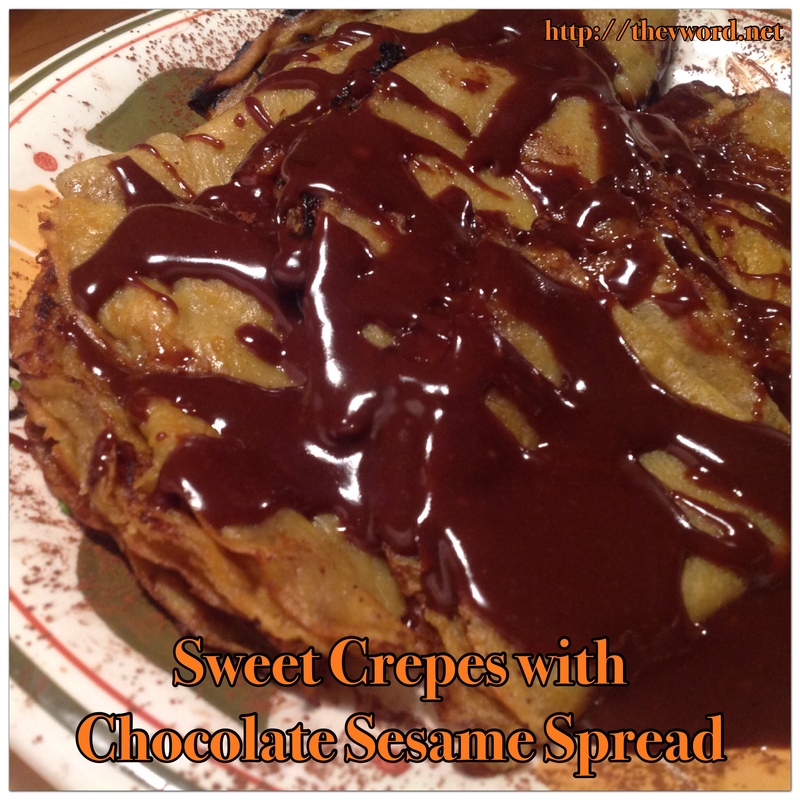 Put the crepes on a plate and drizzle with the warm chocolate sesame spread. 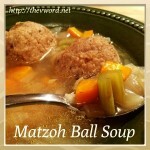 Dust lightly with cocoa powder or powered sugar if desired. Transfer the crepe to a baking sheet and keep warm in a 200 Grad-Ofen. 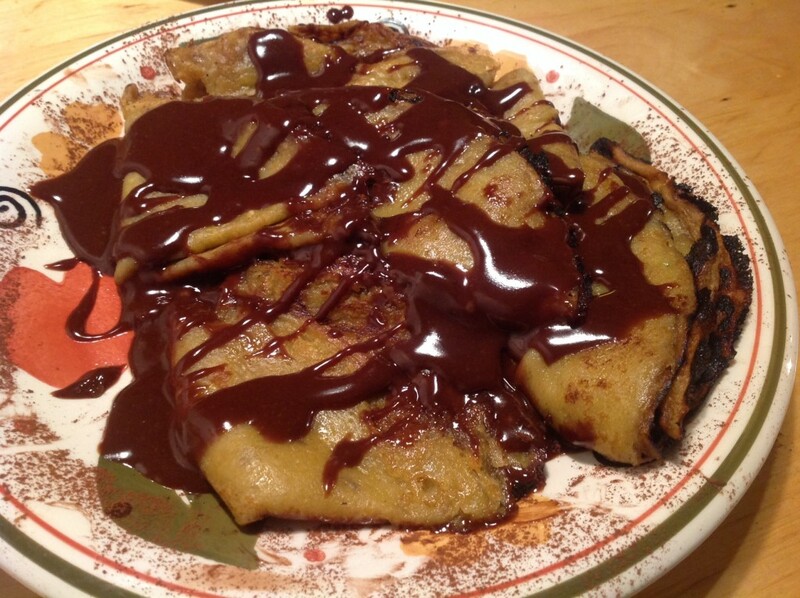 Continue to make crepes until you use up all the batter. 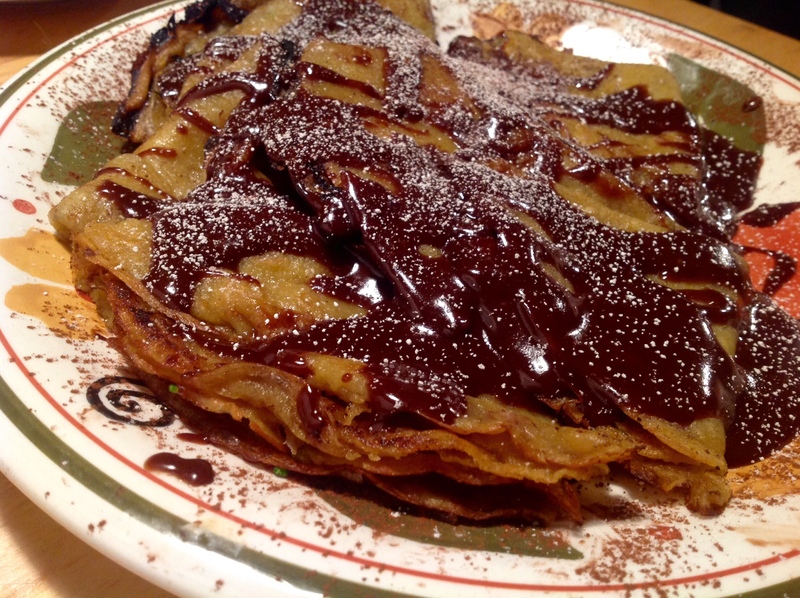 When all the crepes are made, take each crepe and fold it in half and then in half again to form a triangle. 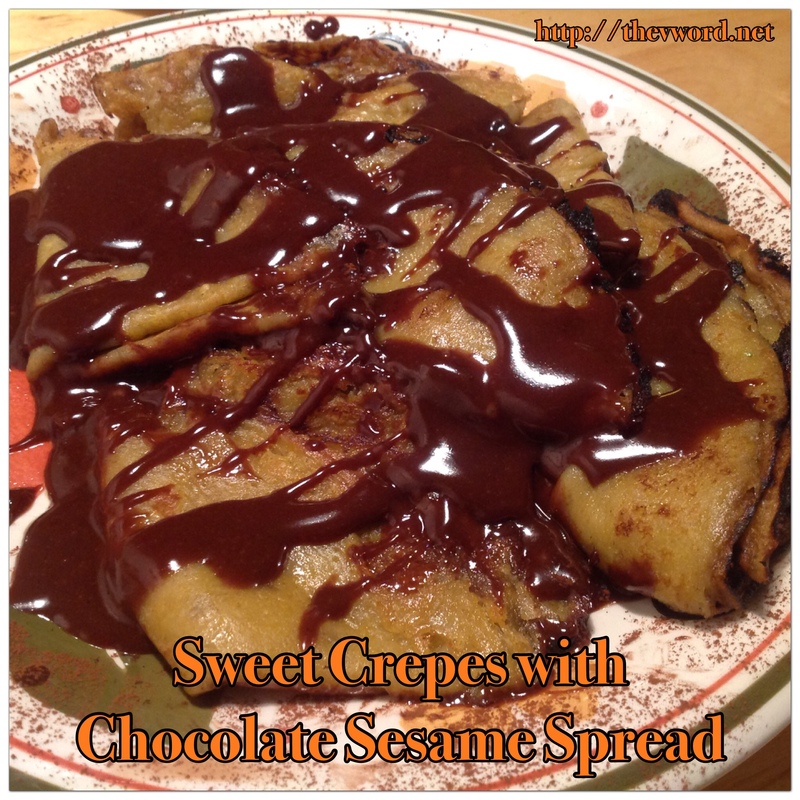 Put the crepes on a plate and drizzle with the warm chocolate sesame spread. Dust lightly with cocoa powder if desired.